Cake. 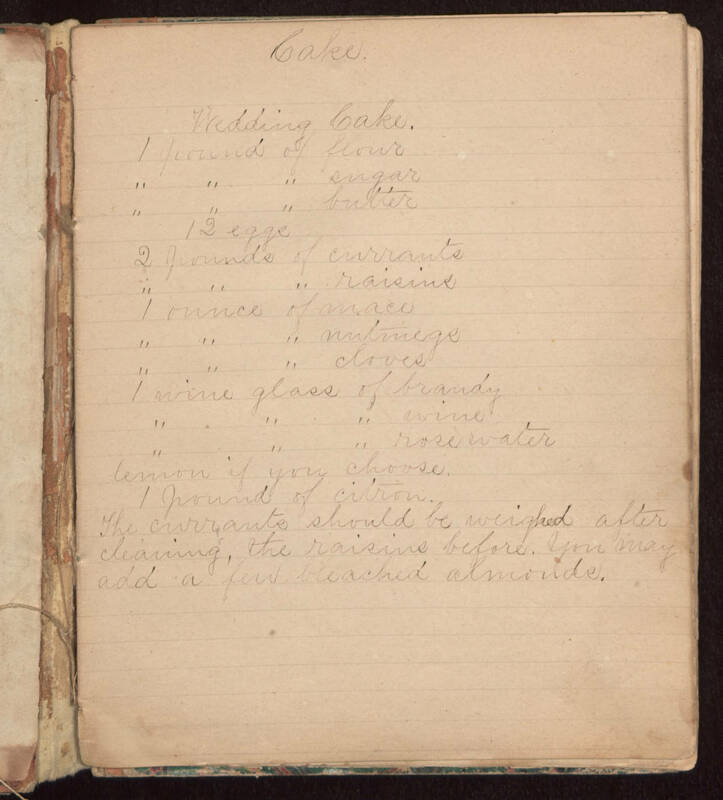 Wedding Cake, 1 pound of flour " " " sugar " " " butter 12 eggs 2 pounds of currants " " " raisins 1 ounce of mace " " " nutmegs " " " cloves 1 wine glass of brandy " " " wine " " " rose water lemon if you choose 1 pound of citron The currents should be weighed after cleaning, the raisins before. You may add a few bleached almonds.